UPDATE: Suspect charged with second degree murder and other charges. Read more after the jump. On most days I don't like just putting up a news article with minimal analysis but this happens to be one of the days when my boss actually expects me to work. The nerve of that guy never ceases to amaze me. You'd actually think he pays me or something. And because much like the President I am facing a November 30 deadline on some critical tasks, there must be less blogging and more programming/project managing on my part. So it goes. All the same though I did want to quickly draw your attention to this article below which has some new information about the Renisha McBride situation. The takeaway is that (1) the Wayne County Prosecutor's Office has still not issued an arrest warrant for Ms. McBride's killer and (2) Ms. McBride was shot in the face, but apparently not from point-blank range. This would to me, seem to be another indication that the young woman was not a threat. There is something wrong in our society where the default is to consider ANY black person a threat. There have been different statements about whether there was an accidental discharge of the shotgun or whether, if charged, the suspect intends to claim self-defense. FWIW, the Wayne County Prosecutor is a black woman, Kym Worthy, who may have first come to local and perhaps national prominence some years prior when she was the lead prosecuting attorney in the trial of Walter Budzyn and Larry Nevers, two Caucasian cops who beat the black motorist Malice Green to death. It is unusual that the alleged suspect has not been arrested as of yet so we'll have to see how everything turns out. Wayne County, which if there is a trial is where the trial would be unless it's moved, is about 40% black. Juries tend to have lower black representation than that. Dearborn Heights, which is where the shooting took place, is a Detroit suburb which is overwhelmingly white. 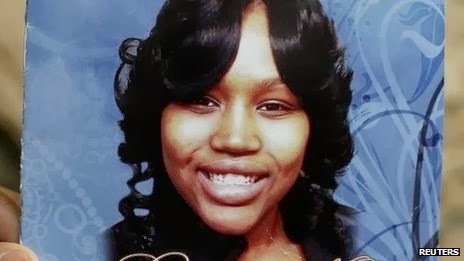 It was shortly before 1 a.m. Nov. 2 and Renisha McBride was involved in an accident with a parked vehicle in Detroit. More than two hours later and six blocks away, she was shot in the face by a man who told police he thought someone was breaking into his Dearborn Heights home. The 54-year-old homeowner, according to police, said his 12-gauge shotgun discharged accidentally. What happened during the hours between the accident and McBride’s death on the front porch of a home in the 16800 block of West Outer Drive remains a mystery. New details surfaced in the controversial case Monday, raising more questions about the 19-year-old’s death. The Wayne County Prosecutor’s Office is waiting for several items relating to the investigation from the Dearborn Heights Police Department at this time,” the statement from spokeswoman Maria Miller said. Meanwhile, civil rights leaders have called for a thorough investigation of the case. McBride’s death was ruled a homicide by the Wayne County Medical Examiner’s Office, which released her autopsy report Monday. According to the report, McBride was shot in the face, not the back of the head as her family initially had said. “There was an entrance shotgun wound to the face, with no evidence of close-range discharge of a firearm noted on the skin surrounding this wound,” according to the report. 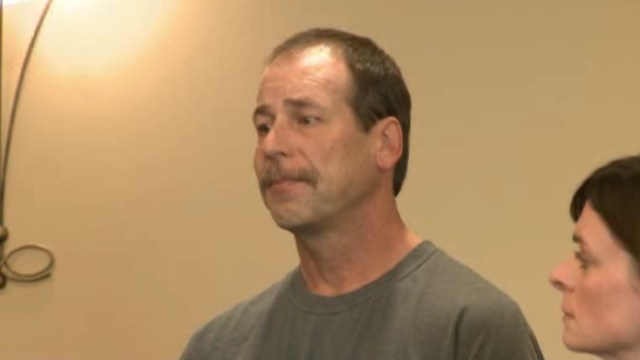 Theodore Wafer was arraigned Friday afternoon in connection with the shooting death of 19-year-old Renisha McBride. Wafer, 54, is charged with second degree murder, manslaughter and possession of a firearm in the commission of a felony in the Nov. 2 shooting McBride. He must pay 10 percent of a $250,000 bond to be freed from jail. Authorities say McBride, of Detroit, drove into a parked car in the city around 1 a.m. After her death, tests determined her blood alcohol level was nearly three times the legal limit for drivers in Michigan, a toxicology report said. Witnesses said she left on foot, bloodied and disoriented, Worthy said. She ended up on Wafer's porch in neighboring Dearborn Heights at least a couple hours later that morning. Wafer told investigators that he thought McBride was breaking into his home, and that the shotgun accidentally discharged when he investigated, police said. After 911 was called at 4:42 a.m., McBride was found dead with large shotgun wound to her face, Worthy said.